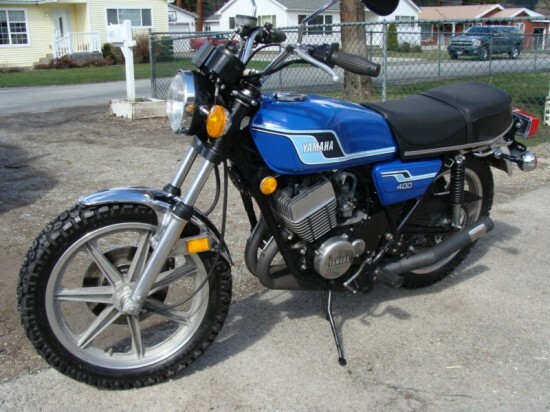 I see a lot of RD350’s and 400s for sale. Maybe a new one everyday. Almost all of them say they are rare and gonna go up in value due to the rarity and cult following. To me these are one of the most common rare bikes I see. 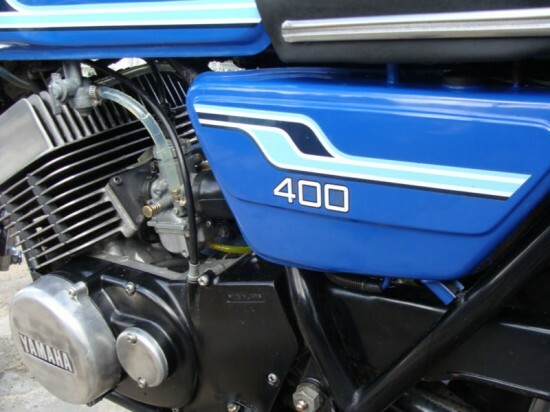 I couldn’t find a solid number or proof of production numbers from Yamaha but the general consensus is that there was about 17,000 RD400C’s and 14,000 RD400D’s. I wouldn’t put those numbers in the “super rare gonna be worth a million dollars some day” category but those numbers are pretty low. 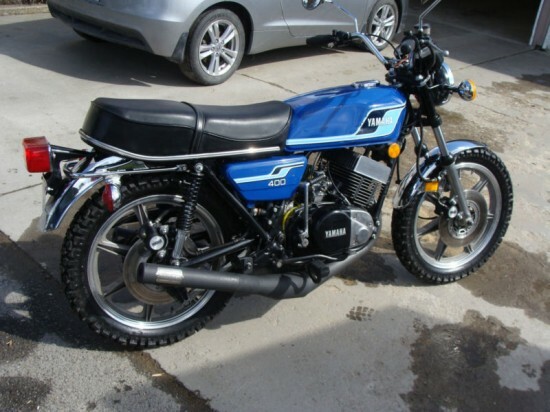 The fact that every time I look up classic sport bikes for sale I see one of these shows me they’re not all that rare or every single one of them is for sale at any given point. Having said all that I do love these bikes. 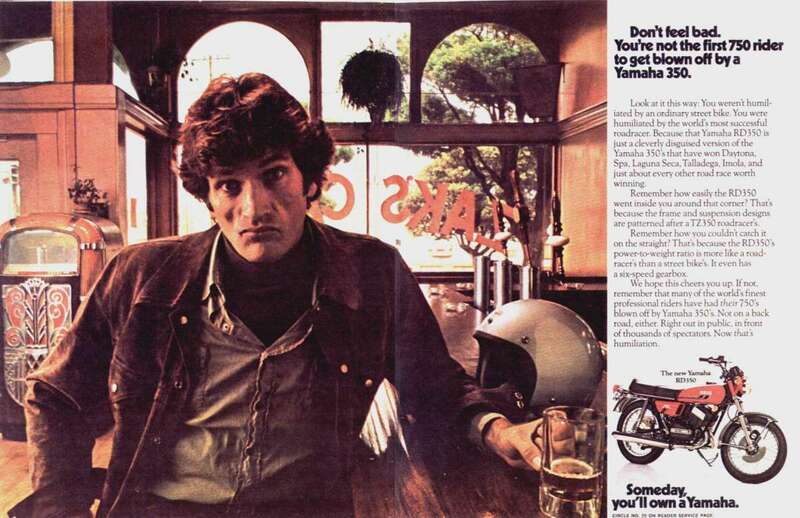 There was a add that Yamaha ran in the 70’s that was an apology to all CB750 riders that had just lost a race to the 350cc powered RD. It went on to say you’re not alone, a lot of 750 riders had also been beat and they shouldn’t feel bad for spending more for a slower bike because they weren’t alone. I love that add. It had some 750 rider with his head all hung low and stuff. haha. I’ve added the ad for reference. 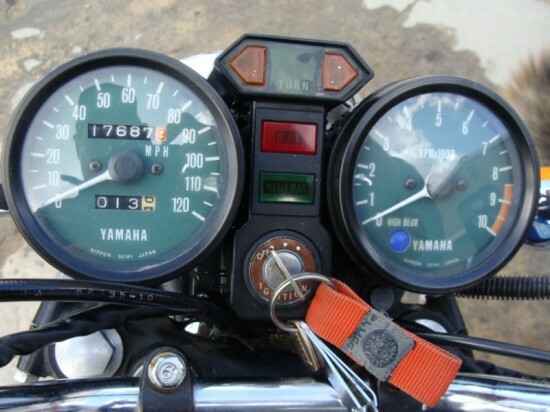 The seller has a pretty good description of all the aspects of the bike and a video. What is up with those tires? They make me want to take it trail riding. Anyway, IMO his starting bid price is about what the bikes consistently sell for so I don’t expect it to sell for much more than that but I’ve been wrong before and I’m sure I’ll be wrong again. Click here to so the auction. I agree, the old RDs are hardly rare. You don’t see one every day, but it’s not like you don’t see them. Back in the day, these were ‘throw away’ bikes – shredded with more regularity than 600s. Still, it is a fine example of engineering. The most impressive thing about the old RDs is the simplicity. Take one apart, and compare it to any of it’s contemporaries. The RD simply made more speed (and more fun) with less parts (and less cost) than any other bike of the 70s. Based on this, I’d say the cult / collectability claims are somewhat justified, because there isn’t anyone who doesn’t want an old RD. And there are probably more than a few of us who regret selling our old RDs.